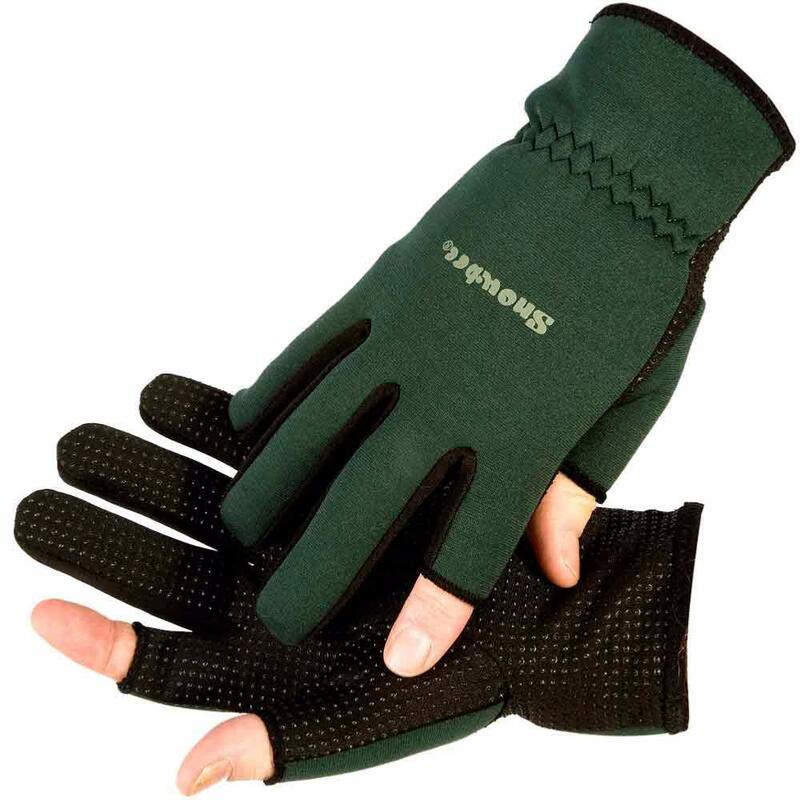 Snowbee Lightweight Neoprene Gloves, a lightweight neoprene glove with a nylon Jersey knit palm with rubberised 'dots' pattern for extra grip. The thin palm of the Snowbee material allows the gloves to be worn whilst fishing, shooting or to work in and still feel everything, whilst the Neoprene back gives added warmth, where it's needed. The tips of the thumb and index finger are left exposed to allow tying of knots, or loading, without removing the gloves. 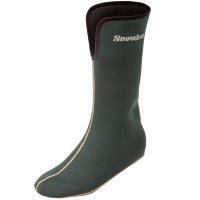 Snowbee Lightweight Neoprene Gloves come with a choice of four sizes, colour Dark Green with Black palm. A huge troutcatcher seller, 1000's sold each year. Example measurement; Index finger tip to base of hand, 20cm, then add at least 2.5cm to cover wrist - so in this example choose at least large. 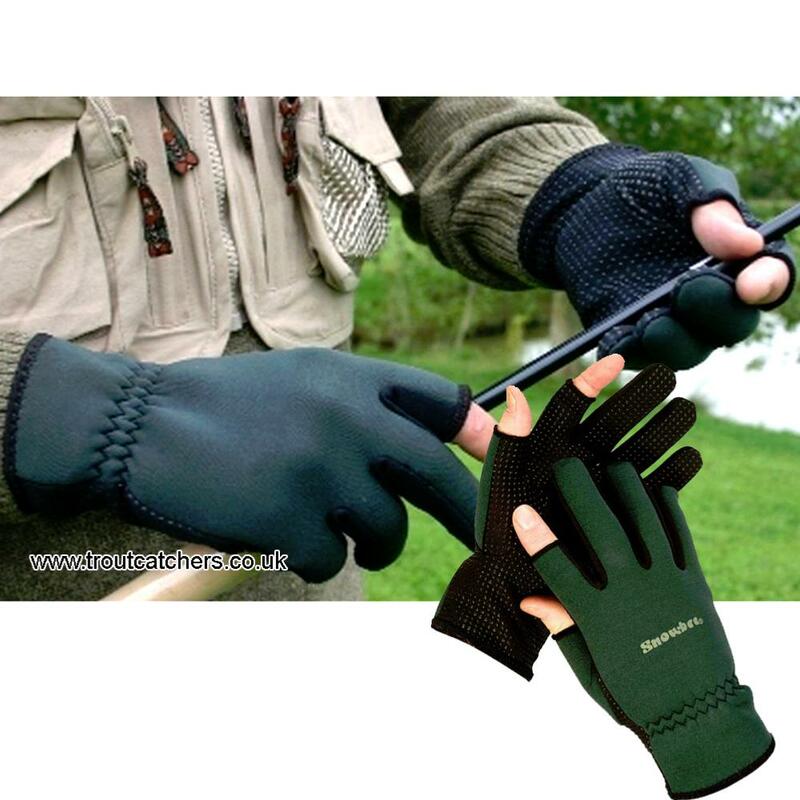 Checkout our other Fishing Gloves and the full range of Snowbee's Technical Clothing, enjoy your Fishing to the maximum even in the harshest of conditions. Ordered ‘L’ size but found fingers too tight, internal stitching rubbing finger-nails. C/S team very helpful. Promptly replaced product by post. 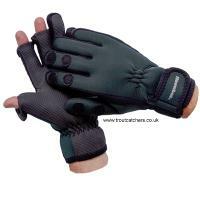 However even XL dispatched had good fitting LH glove, but RH seemed shorter finger length. Maybe I’ve larger RH fingers? Retained & hope fabric stretches with usage. 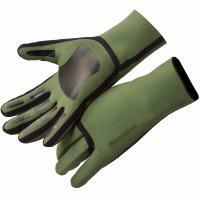 Design of glove good. Cerainly can’t complain about willingness of CS team to offer exchange and redelivery. Great service. Would use them again. Brilliant,just what I'd hope they'd be. Gloves excellent, but unfortunately I received two left hand gloves. 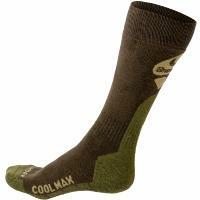 Awaiting a new “ pair” to arrive. Quality Product, exactly what I needed. Spot on could not be better. Nice snug fit , if I reordered I would order ther next size up.